Review: Google's Pixelbook is everything we'd hoped for, but will anyone buy it? 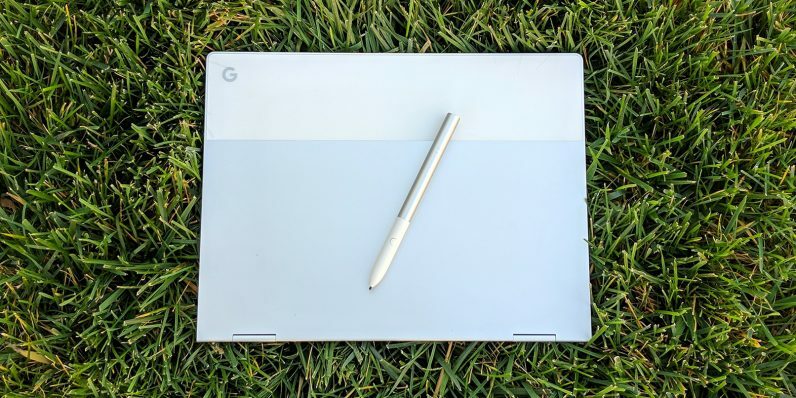 Review: Google’s Pixelbook is everything we’d hoped for, but will anyone buy it? We haven’t had a true Chrome OS flagship since the Chromebook Pixel 2 in 2015. For two years device makers have dipped their toes in the water aiming for the kind of hardware and software integration that gives users something to talk about, or better yet, take out their wallets. We’ve had good entries. Asus, Acer, and Samsung have all made fine Chromebooks in the past. But to this day, good is the bar; great has proven elusive. Google’s new Pixelbook aims to change that. One thing is immediately apparent about Pixelbook: this is the new bar by which all other Chromebooks will be measured. It’s sleek, sturdy, and features design touches you can’t help but to compare to Jobs-era Apple. It’s quirky, yet refined, just as you’d expect from a Google product. As my colleague Napier Lopez says, Google is getting really good at making things. It’s a laptop, so we’d be remiss in not starting with specs. It’s a thousand dollar machine, after all. Pixelbook’s entry-level model comes equipped with a 7th-gen Intel i5 processor (Kaby Lake), paired with 8GB of RAM and a 128GB SSD. It’s fast and, quite possibly, overkill on a Chromebook. But, we’re not complaining. Speaking of overkill, you can fork over $1,650 for the i7-powered beast of a machine with 16GB of RAM and 512GB of storage space, though we’re really not sure why you’d want to. For a machine built to be fast on the web, the specs are really just window dressing. It’s Google’s “because we can” moment, a move that leaves little doubt about where Chromebooks are headed, even if we question who this one is for. And seriously, who is the Pixelbook for? The most obvious comparison has to be iPad Pro or Surface Pro users. Pixelbook even offers the same $99 pen add-on as both competitors, although I found myself actually using this one. It’s an interesting add-on that features both pressure and angular sensitivity. It doesn’t require any Bluetooth pairing, and there’s no unsightly charging plug to dangle from the side of the device. A single AAAA battery provides all the juice you’ll need for a year of use. Better still, it’s fast. Google told us latency is just 10ms, half that of Apple’s Pencil. Chrome OS uses machine learning to predict where the pen is headed next, thus reducing our perception of lag. You can also circle things while browsing to bring up more information, a feature I found myself using more than I’d expected. The privacy conscious can disable it in Settings. Then there’s the silicon palm rests, another quirky, but functional addition. They add some level of comfort for tapping away on the incredibly shallow keys — 0.8mm of travel, if you’re curious — but in true Google fashion, they double as non-skid surfaces in tent mode, and protect your screen from scratches when using it as a tablet. Speaking of the keys, they will take some getting used to — less so if you’ve used a recent MacBook. What they lack in travel though, they more than make up in “feel.” The rubberized texture is nice, and there’s a satisfying click with each keypress. It just feels good to type on. There’s also a dedicated button to bring up Google Assistant, another nice touch I used regularly, if only by accident at first. The trackpad is all glass and feels perfect. It’s as good as I’ve ever used: responsive, slick, and possibly the best in its class. My one complaint is that Chrome OS doesn’t offer support for more gestures. Pixelbook has two USB-C ports, keyboard backlighting, and a battery Google pegs at around 10 hours of mixed use. I fell just short of that at around 8-9 hours. But it generally lasted me a full work day. In a pinch, a quick 15 minute charge provides about two hours of battery life, which often comes in handy. And rest easy, Pixel 2 fans; it does have a headphone jack. What you won’t get is an SD card slot, which is a touch disappointing. The speakers do the job, but they’re certainly not going to win over any audiophiles. Volume is good, even in a crowded space, and dialogue comes through clear, though I’d still opt for headphones when watching a movie or listening to music. As for the screen, it’s best compared to the 13-inch MacBook Pro’s Retina display. It’s a 3:2 aspect ratio with native 2400×1600 resolution and 235 PPI. Skipping more of the spec talk, let’s just say I couldn’t spot a quality difference when viewing the two side-by-side. Where Google did perhaps run afoul though is with the bezels. They’re massive. I’m not against bigger bezels on 2-in-1 devices, as they provide a home for wayward fingeprints as well as offering something to hold on to. But the 12.3-inch screen could house something closer to a 14-inch display in the same footprint, if we’re being honest. Also, while tablet mode is every bit as good as others in this class, it doesn’t support side-by-side splitscreen for apps, at least not yet. It’s reportedly coming soon. Chromebooks’ biggest problem might be one of perception. People are willing to make concessions on a $300 device. They’re less likely to do the same for one that costs the same as a decent laptop. But here’s the thing, the Pixelbook is a decent laptop, exceptional even. While I never questioned whether it was worth $1,000, I had my doubts that people would flock to a top-tier Chromebook when “legitimate” PCs (ones with full-fledged operating systems capable of running Microsoft Office, or the Adobe Suite) exist in the same price range. Say what you will about its limitations, but the truth is the combination of web and Chrome apps get the job done. Android apps are icing on the cake. Changing perception is hard, but the Pixelbook is uniquely positioned as the device most capable of breaking down these barriers and changing the minds of anyone willing to try it. Anecdotally, I was fully prepared to talk about great hardware with limited software in this review. I was prepared to pat Google on the back for a job well done, while questioning who’d be willing to drop $1,000 on a device competing with legitimate laptops. But after a week, my perception changed. So did my definition of legitimacy. The Pixelbook isn’t inferior, it’s different. And different, especially in this case, is good. Google has a winner here, and it’s going to have a difficult time prying it out of my hands.